Known as the Kubb Capitol of the U.S., Eau Claire is the home of the U.S. National Kubb Championships. 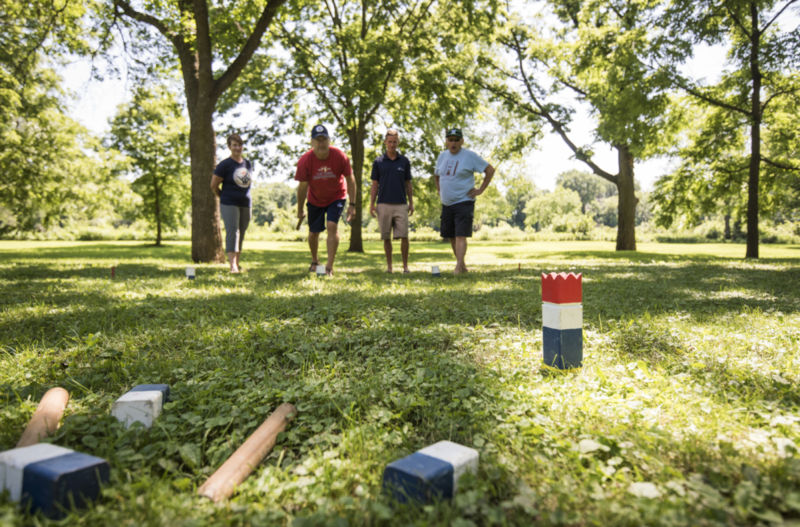 For the unfamiliar, Kubb is a cross between bowling and horseshoes and is the game Vikings played. Join the “block-heads” as they compete for the Kubb King title. Final 16 teams advance to Sunday. The teams will be placed in groups of four with the other teams from their quarter. The top team in each of the four groups will advance to the semifinals. Schedule: Match #1 will start at 8:00am. All matches will have a 1 hour and 30 minute timelimit. Matches #2 and #3 can start when all four teams are ready, and they will also have 1 hour and 30 minute time limits. Semifinals will start after the group play. Semifinals and Final will have no time limit. Final and Bronze Medal match will begin immediately after the semifinals. The Bronze Medal match will be best-of-one.